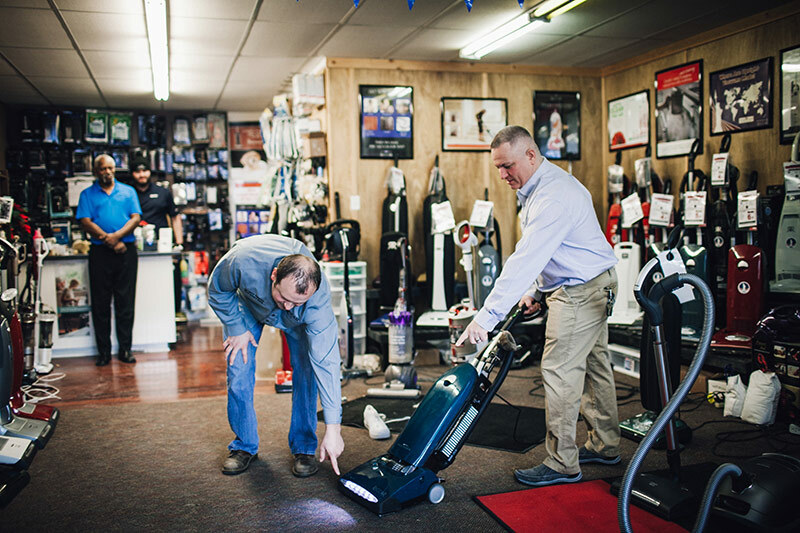 We offer a great selection of new and used vacuum cleaners and vacuum parts from companies like Simplicity – Hoover – Electrolux – Eureka – Kirby – Oreck – Beam – Riccar -Miele and more! We service all makes and model vacuum cleaners and provide warranty service for most major brands. Hoover, Eureka, Dyson, Dirt Devil, Electrolux, Rainbow, Filter Queen, Bissell, Shark, Panasonic, Kenmore and more. Our customers love our free estimates on all vacuum cleaner repairs. Faribault Vacuum Center also sells and repairs central vacuum systems. We carry a huge selection of vacuums, hoses, and powerheads for any brand. Contact us today for more information regarding our quality products and services.